Different people have different fears when it comes to flying. There are many reasons why people are afraid to fly and the most common one would be the danger of being hovering on air. 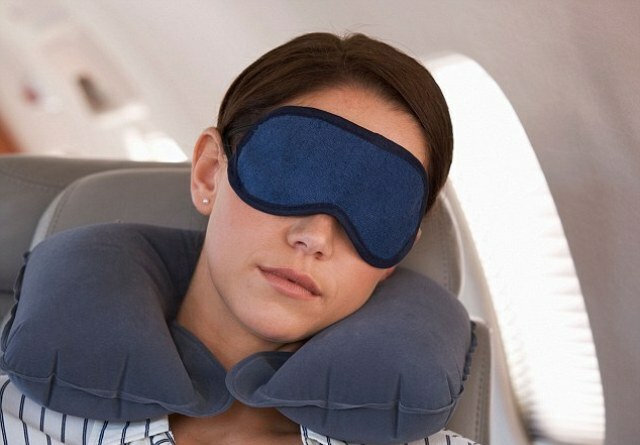 One of the recent reports have suggested that sleeping through a flight might be just as risky while some just don’t like the waiting for planes. It has been found recently that sleeping might cause hearing loss. This is attributed by the fact that the change in altitude and the fact that you are not conscious could lead to your body’s inability to adjust to the pressure change occurring within your ears. Anyone who has flew would have experienced this. When you are in the plane, the change in pressure causes you to have temporary change in your hearing. It is most common when the plane is either ascending or descending. In most cases, swallowing your saliva or yawning will sort the problem out. This is where you allow your body to open the Eustachian tube. The danger here when you sleep is that the Eustachian tube remains blocked and that could lead to a condition where the pressure remains as it is and it would then lead to what is known as ear barotrauma. The thing is, most people get ear barotrauma at one point of their lives but if you leave the condition untreated where the Eustachian tube remains blocked for too long, an infection could occur. This will then cause fluids to get stocked which would lead to difficulty in hearing. If that continues, it would then cause loss in hearing. Here are some important pointers. Headphones have already been listed as the main cause of hearing loss across the world. The idea is to keep the volume at an acceptable level and not for too long a period of time.